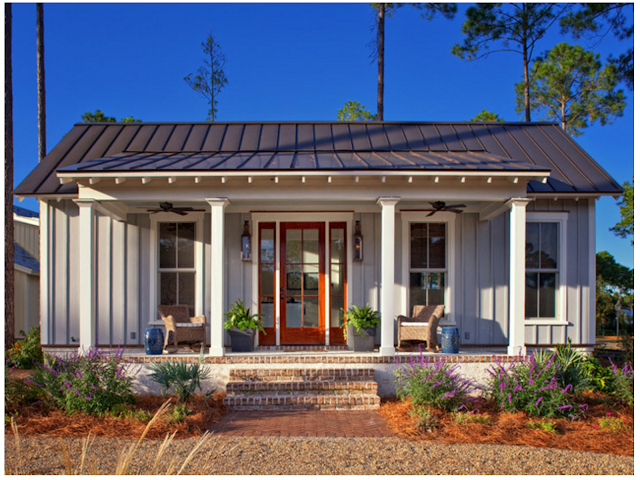 Elvira model is a 2-bedroom small house plan with porch roofed by a concrete deck canopy and supported by two square columns. 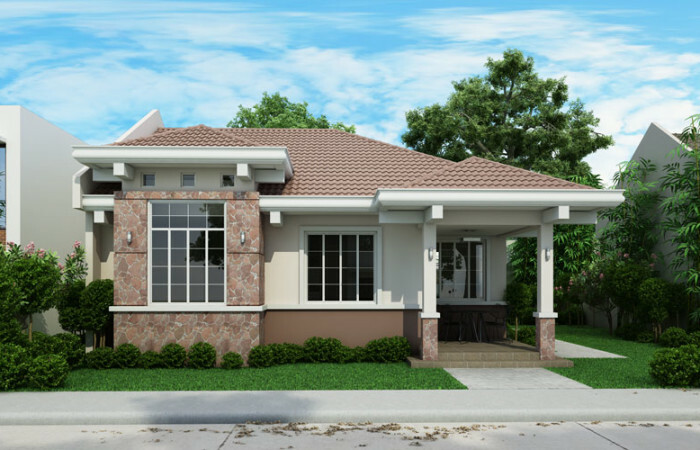 This house plan has an open garage that can accommodate 2 cars. Why open garage? 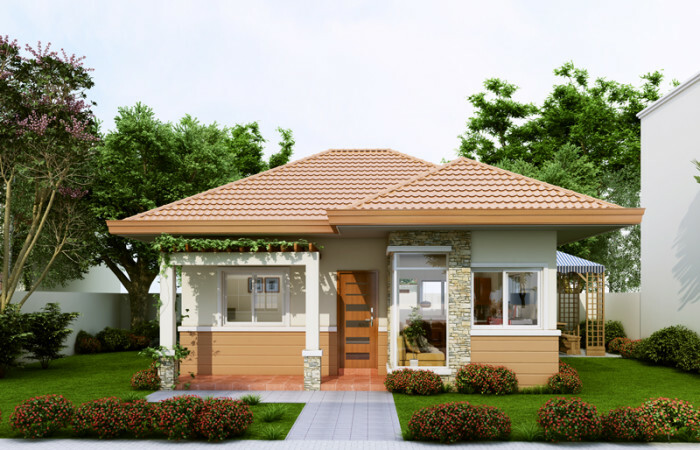 simply because, client have option to choose from an open and roofed one. 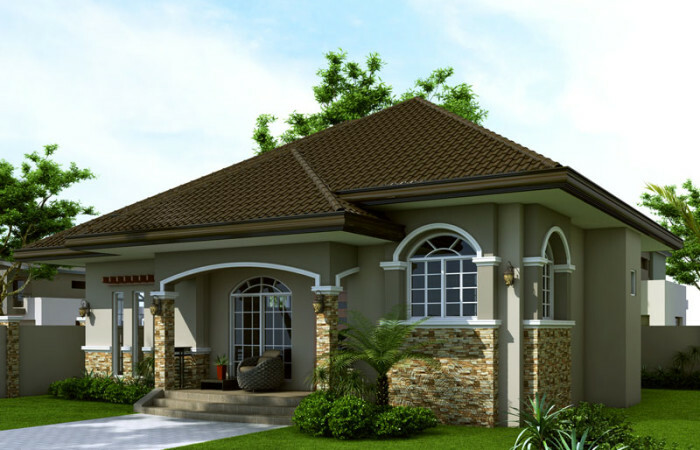 Design can always be customized to add roof on the garage. The porch is 4.5 x 1.5 m in size having 2 steps elevating it to 300 mm from the ground or the floor level in the garage. The roof of the porch is a solid reinforced concrete supported by a twin column on the left side adding some style on the front elevation. Budget on different Finishes which already include Labor and Materials. 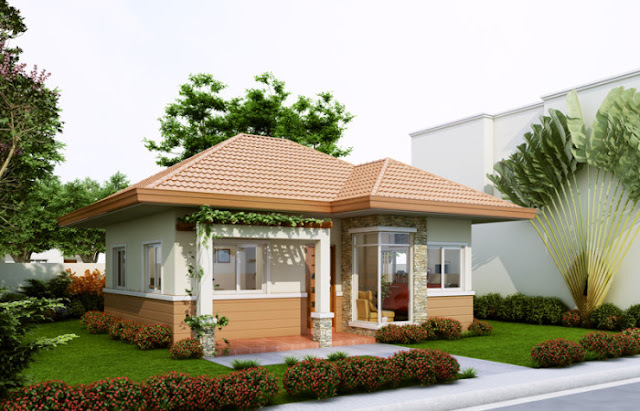 It is also within the range of total construction cost quoted by most builders. Please note that these budgets are computed and based on the total floor area multiplied by a unit cost per sq.m. which are bull park figures. Final budget will be quantified and based on the final plans. 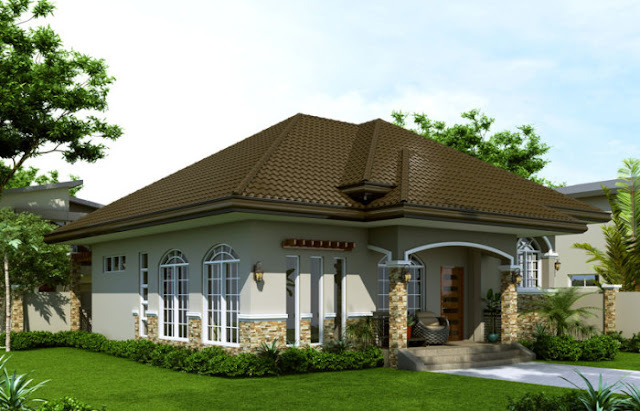 Mariedith is a 2 bedroom contemporary house plan with interesting design features namely; circular columns, concrete mouldings, long span ribbed type green roofing, arched aluminum window front and others. 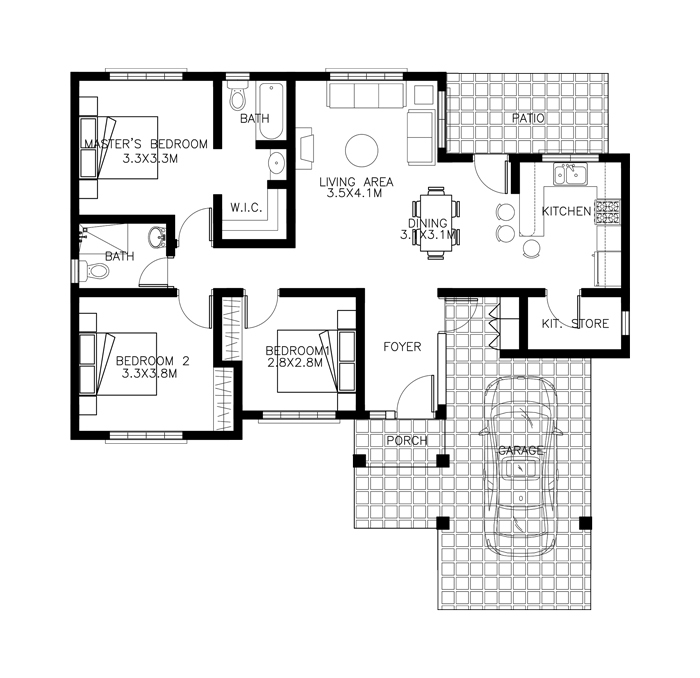 The interior layout of this contemporary house plan is very simple since its only two bedrooms. Entering an arched patio, the main entrance opens to the living room, a the combined dining and kitchen. Considering privacy in the design, the common toilet and bath is covered by extending the masonry partition to conceal the bathroom a bit. To the right is the master’s bedroom and in the opposite side is the 4 m by 3.5 m bedroom. Both bedrooms have the option to have built-in cabinets. 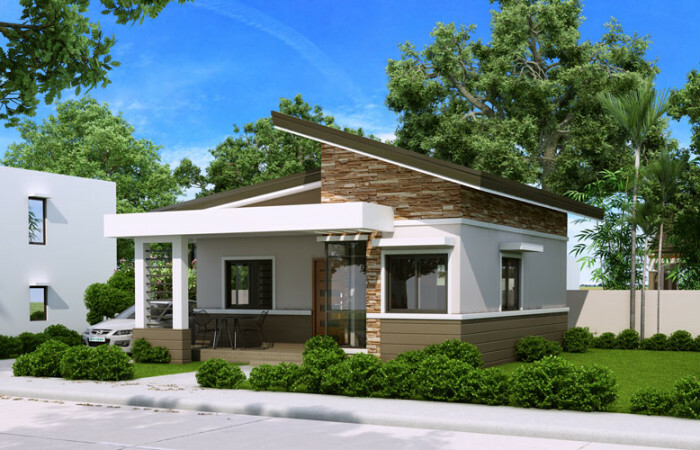 A three-bedroom, two toilet and baths floor plan found in this small house plan is what PHP-2015015 comfortably offers. Upon entering the gate, the garage can serve as is and also patio when its empty. The main entry opens to a foyer which leads to the dining and an open ended living area.The kitchen is equipped with a storage and a mini-bar or nook where you can take a short breakfast and coffee time. 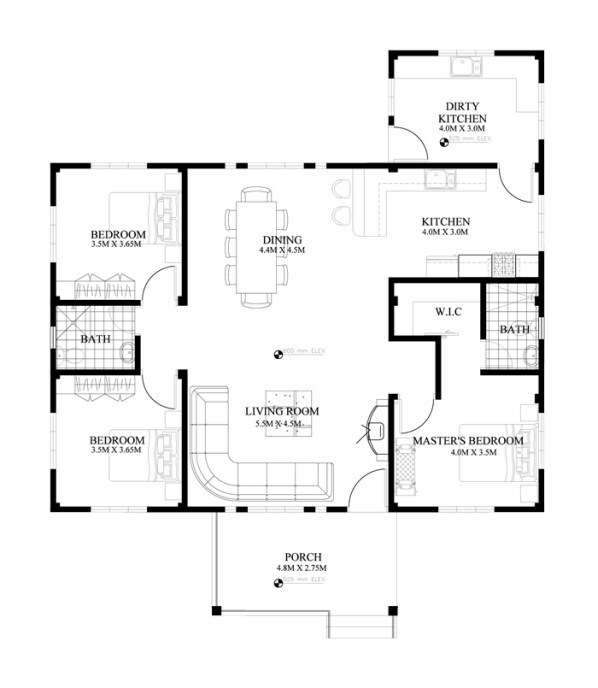 The master’s bedroom which is conveniently situated at the left has its own walk-in closet and master bath. 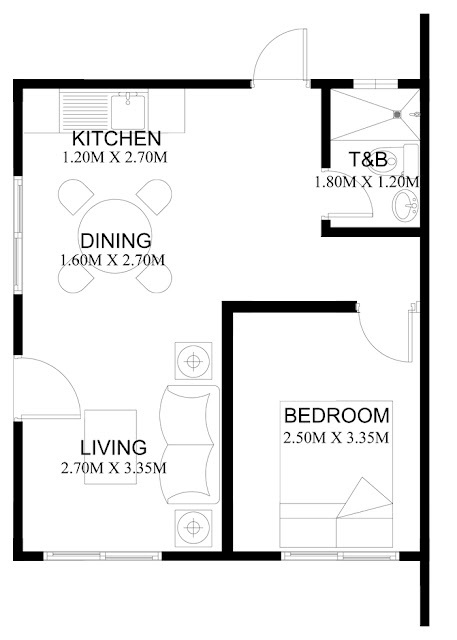 The 2 bedrooms share a common toilet and bath. 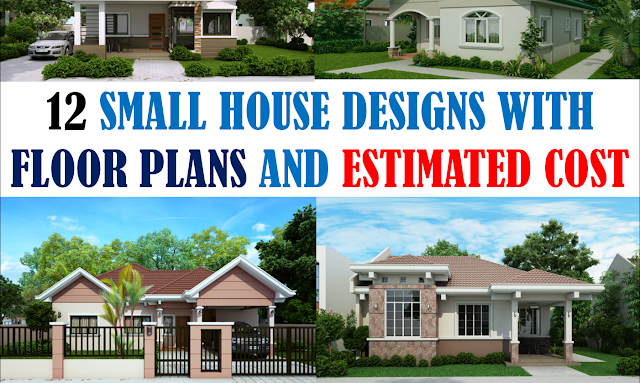 Small house plans have the characteristics of being compact in design, organized and well used spaces or areas. 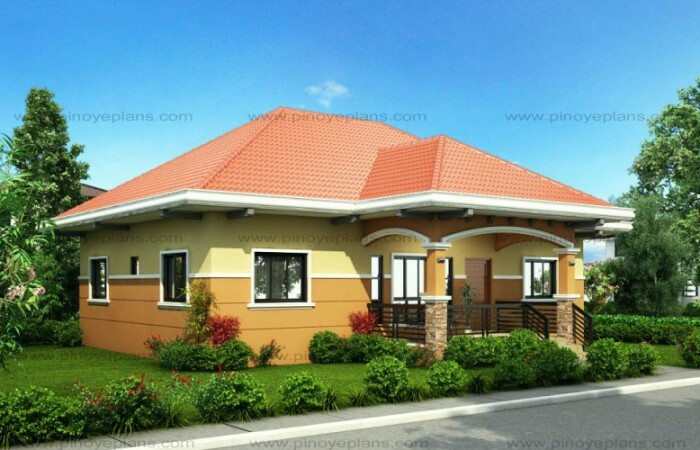 This house plan belongs to our small house plans series which is another variation of PHP-2014001. 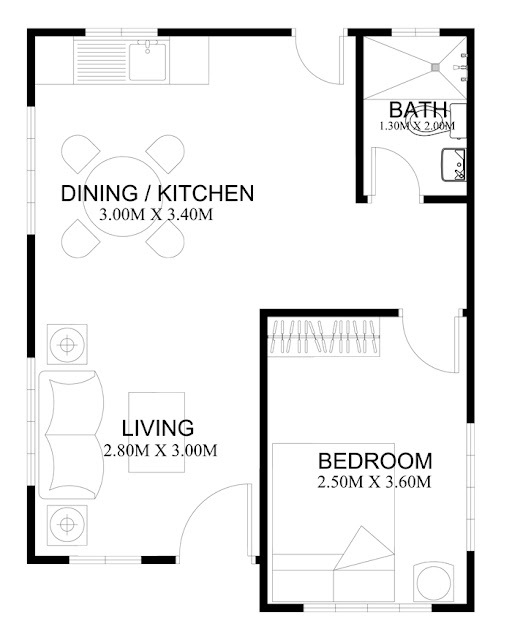 A living room with 2.80 m x 3.0 m, a combine dining and kitchen with a 10.2 sq. m. area a functional bathroom and a bedroom with a small built-in cabinet. 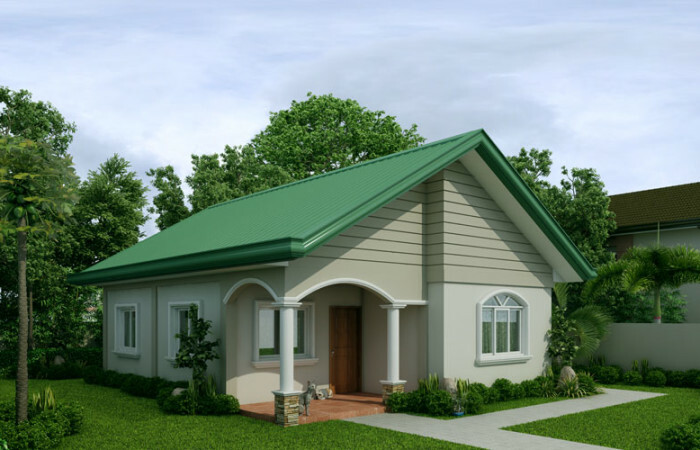 This small house plan is only 39.0 sq. 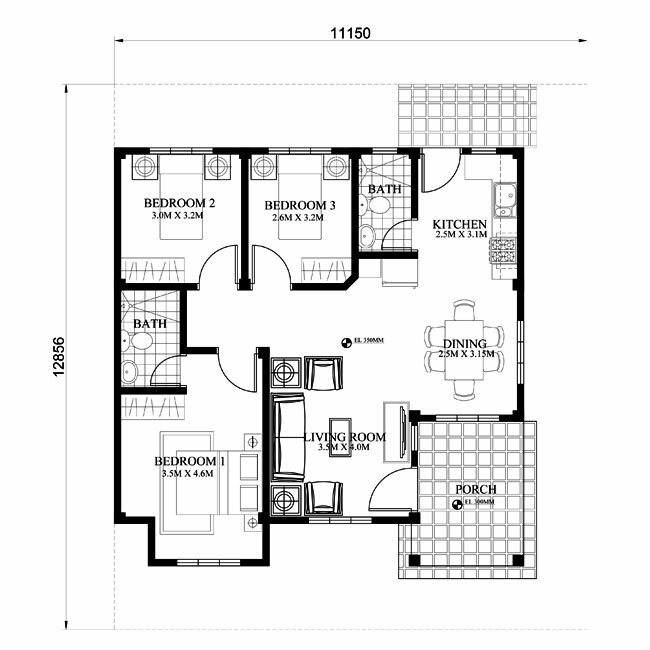 m. floor area and can be erected on a lot with 102.7 sq. m. or 9.6 m x 10.7 m in dimension. 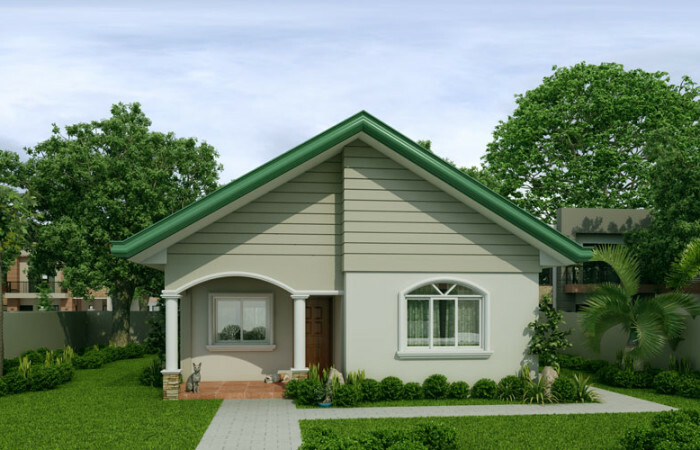 Small house plans like this can be built as a single detached or single attached, fire-walled on the bedroom side thereby also maximizing the lot. 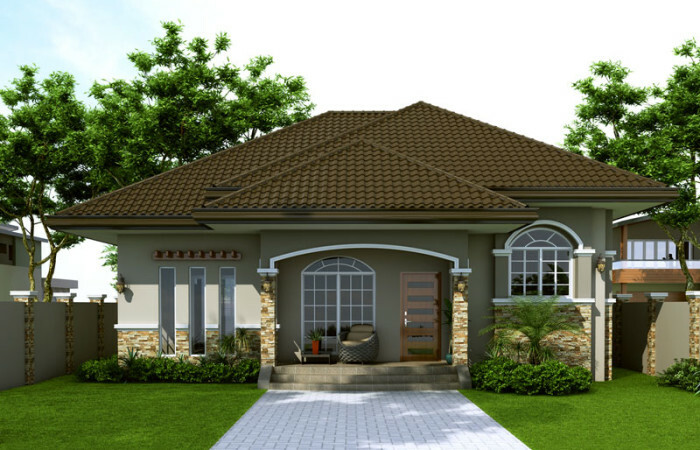 With this style fire-walled on one side you can use a lot with a frontage width of 6.3 m and depth of 10.7 m.
A small house plan with one bedroom and 1 bathroom. The living room opens to the dining and kitchen. 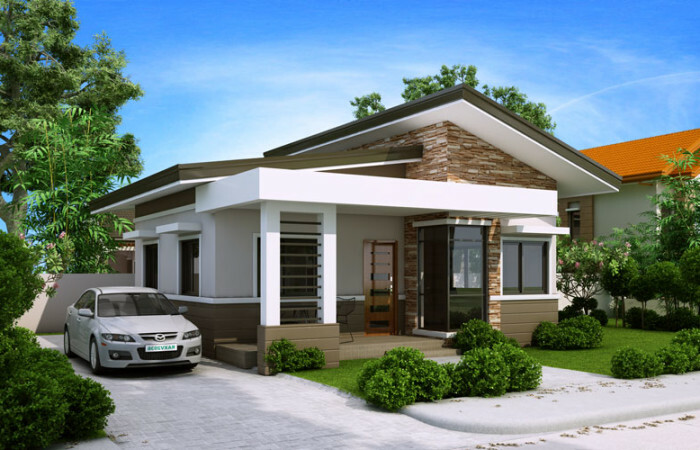 This house plan can be built in a lot in as little as 75 sq.m. with a frontage width of 7.5 meters. Small house plans generally caters Filipino families with small budget since the total floor area is only 36.6 sq.m. 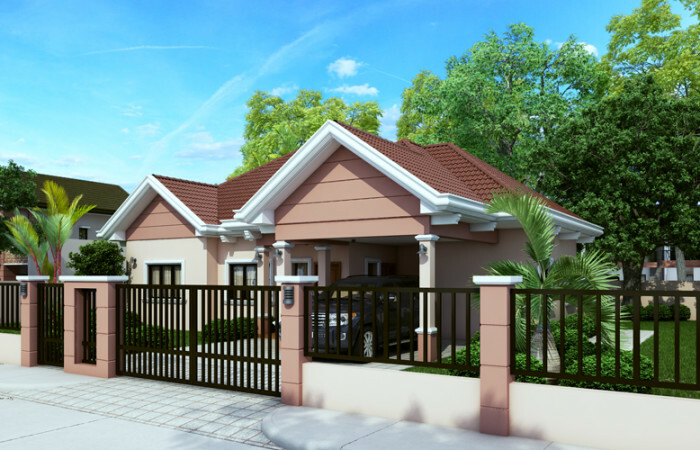 Realizing your dream home does not really matter whether big or small, as long as it is a functional house, this can be your dream house. 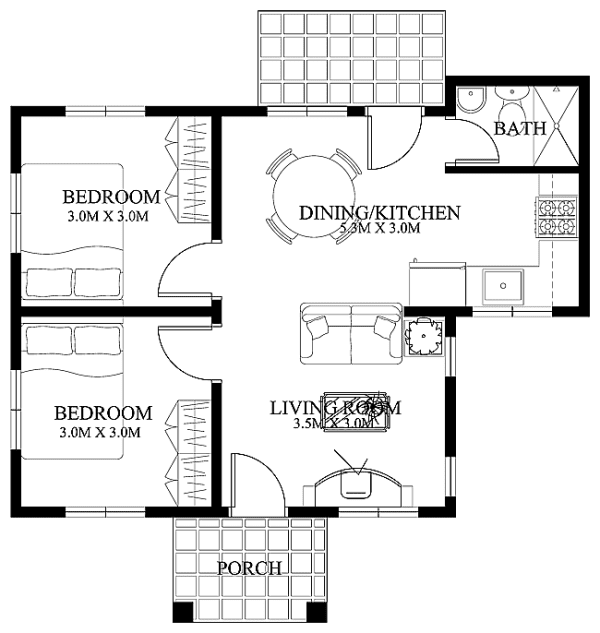 Feel free to use this small house plan for your future house. 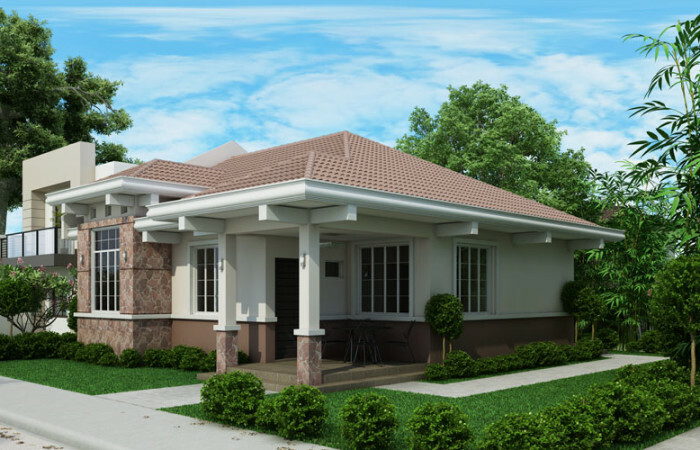 There is not much to describe in this house plan due to its simplicity and small area. Having a small lot area, this Pinoy house plan can be a good choice or an alternative design caters or intended mostly for low earning Pinoys. The important thing is that lot owners have a decent place to live and realize their dream of having their own house. 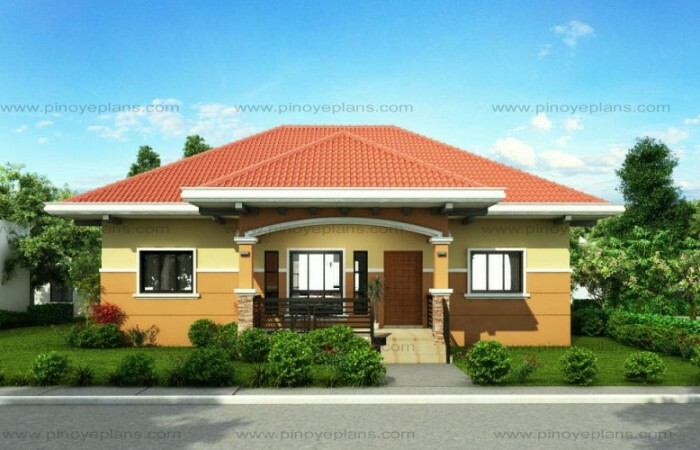 PHP-2015022, is a 3 bedroom 2 toilet and bath small efficient house plan with porch and also a single attached house. 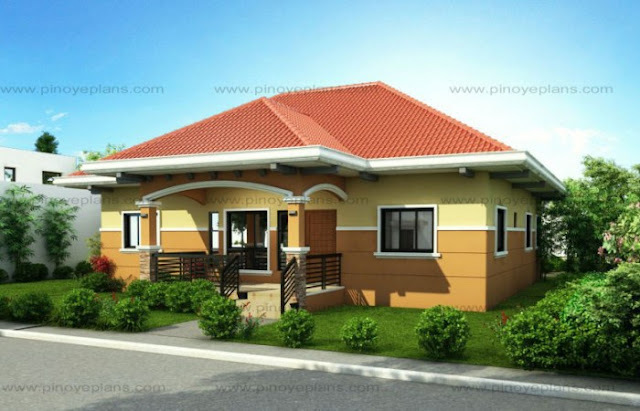 Good living is experienced in this house plan with a total floor area of 93 sq.m.. Bedroom 1 which can also be a master’s bedroom has its own Toilet and bath and optional built-in cabinets. The other 2 bedrooms which is located opposite to the master’s bedroom share a common toilet and bath at the kitchen area. 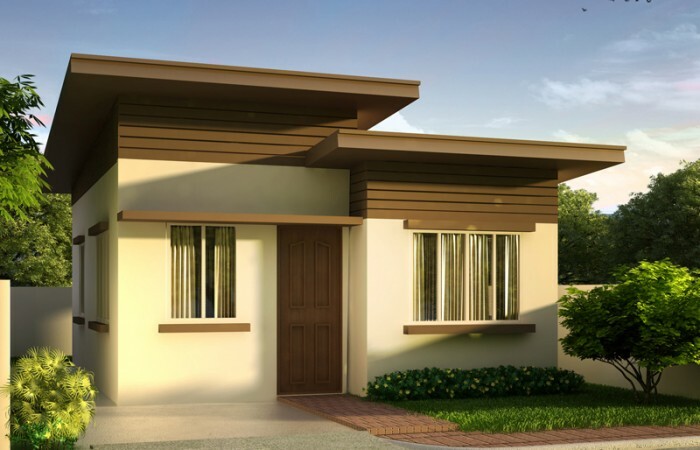 The porch will welcome you to enter the living room strategically located at the center of this small efficient house plan and all the way to the open dining and kitchen. A well defined kitchen has a L-type counter which is very efficient for space saving. 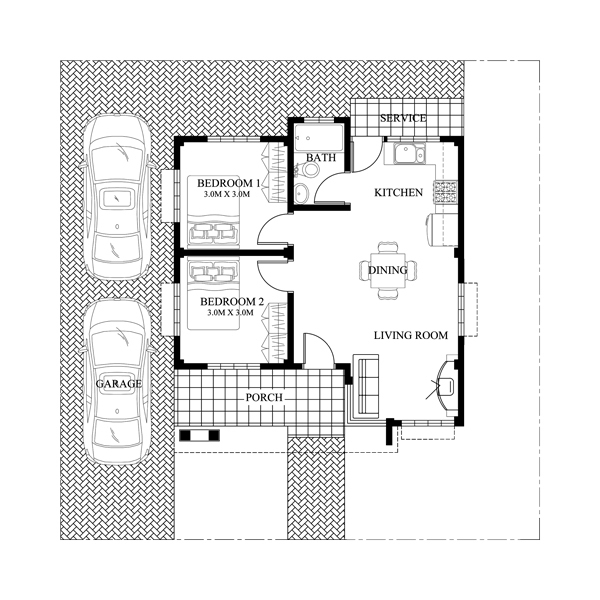 Small house design SHD-201008 is a 60.0 sq.m. floor area which can be built in a 135.0 sq.m. lot area. The lot frontage should be at least 11.65 m which already accommodate the width of the house including the eaves. 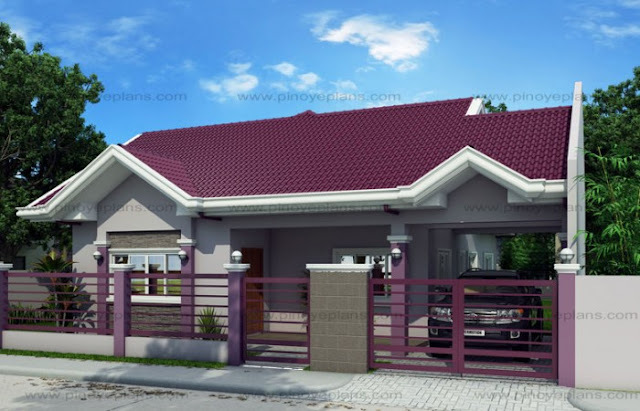 This house design can also be built on a narrow lot provided that the roof will be re-designed to conform to a single attached type of house design or shall we say that one side of the house will be fire-walled. 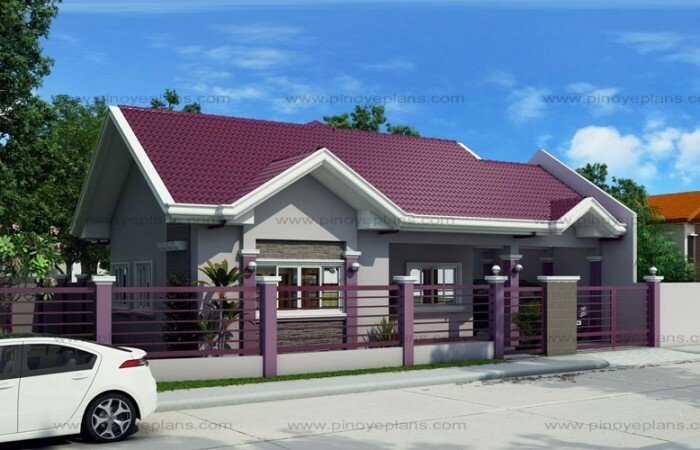 Although small house floor plans are limited with floor area, this is the typical house plans preferred in the Philippines due to its economic aspect. 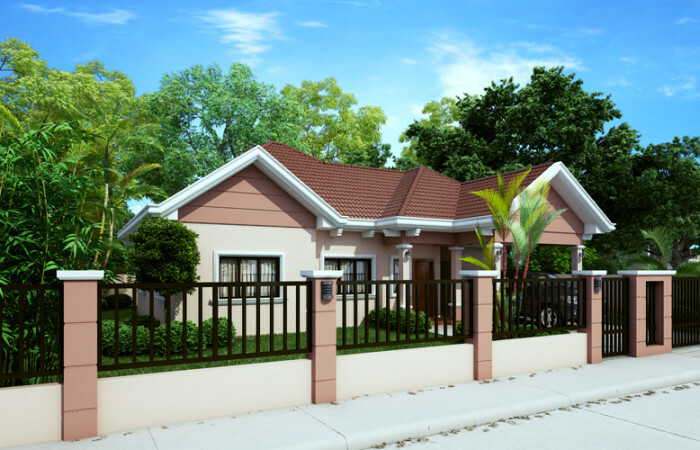 Small house designs are also the first choice of property developers as these will cater most of the average Filipino families. 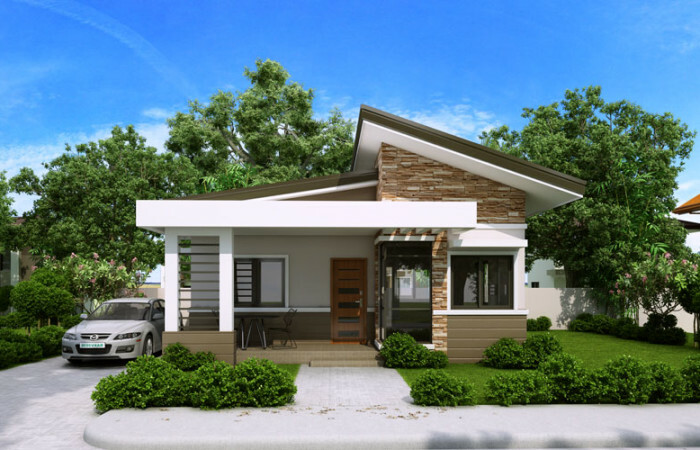 Making sure that you are not stuck on one design and one concept, this house design is another scheme for Small House Design Series: SHD-2014009. With hip roof style roofing this house offers simplicity yet looking elegant. 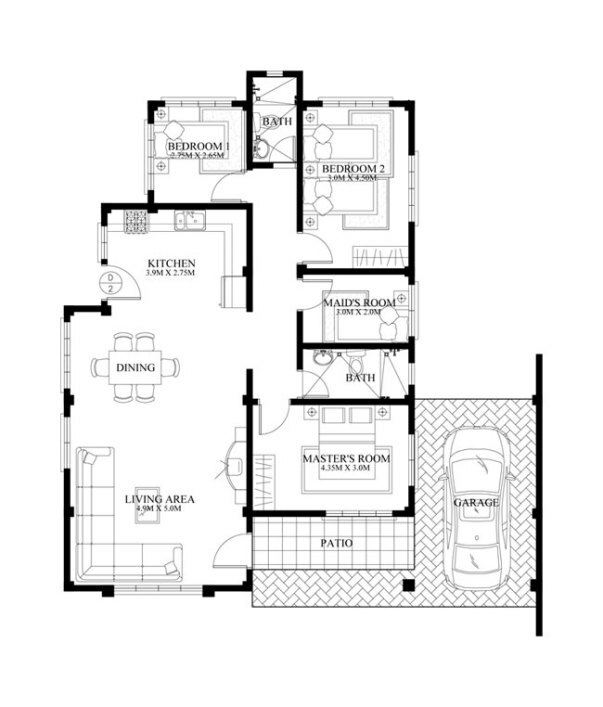 The house plan features porch, entry, rear patio and service area. 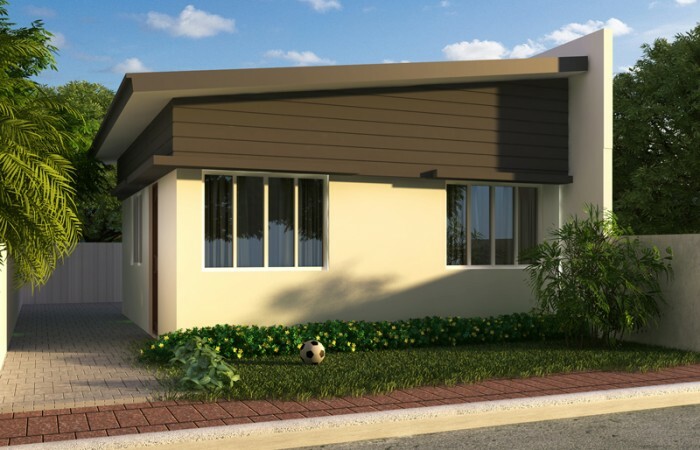 The two bedrooms located at the front have there own built-in cabinets and the master’s bedroom with its own walk-in closet and master’s bathroom. Two bedrooms share a common toilet located in between the master’s bedroom and bedroom 2. 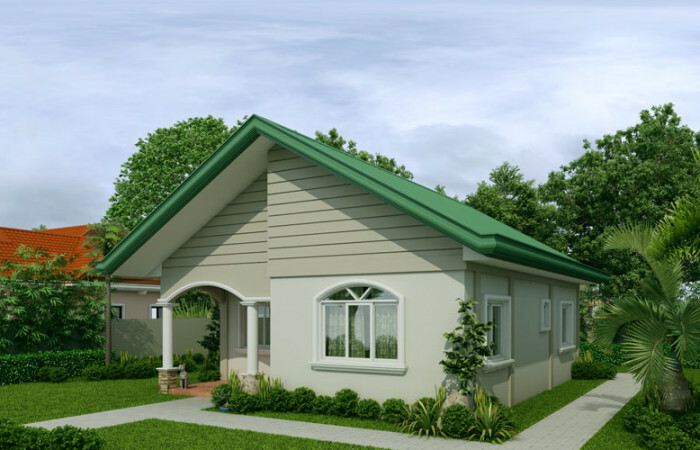 This 2 bedroom small house design is a compact house plan which can be build in a small lot. 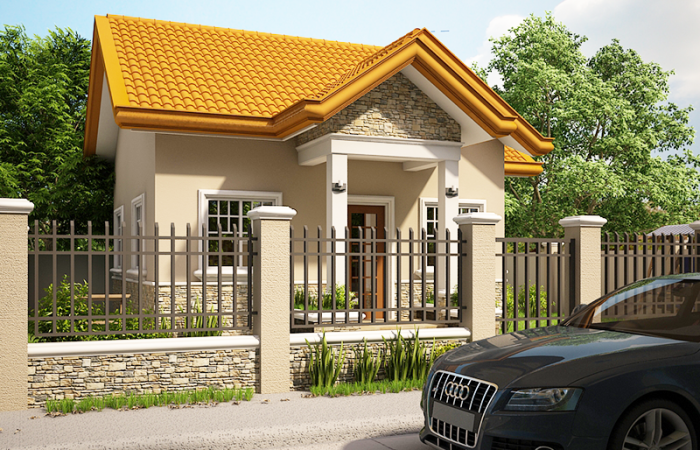 A 10.o meter x 11.0 meter lot size can accommodate this small house in a semi-detached construction. Having said that, the left side wall will be totally closed to be on the boundary line. 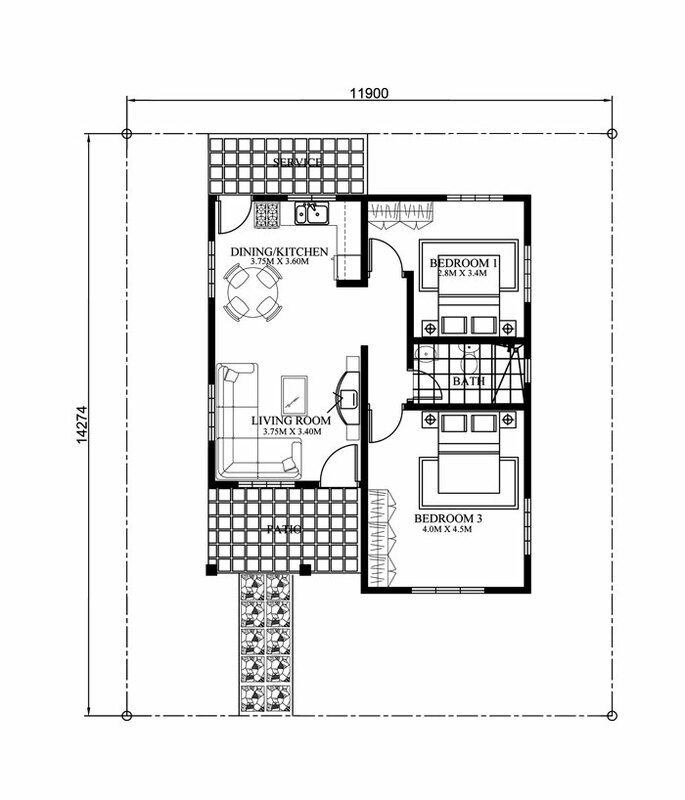 This design has a floor area of approximately 52.0 sq.m. including the Entry Porch. SHD-2012002 maybe a small house design but it has also interesting architectural features such as pre-painted Spanish style roofing, wrought iron french windows, concrete mouldings and stone veneers. 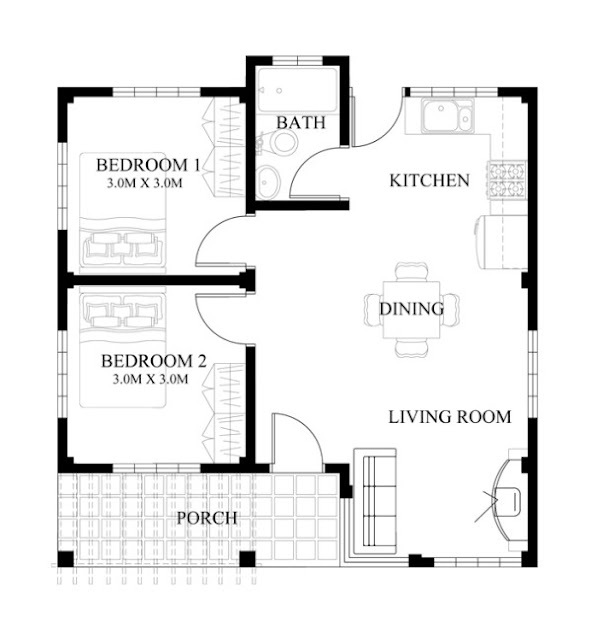 This house plan is a 125 sq. m. floor plan with 3 bedrooms and 3 bathrooms. The 3 bathrooms are located one at the Master’s Bedroom, the second one is shared by 2 bedrooms and the third one is situated at the kitchen area for guest and convenience of the house owners. 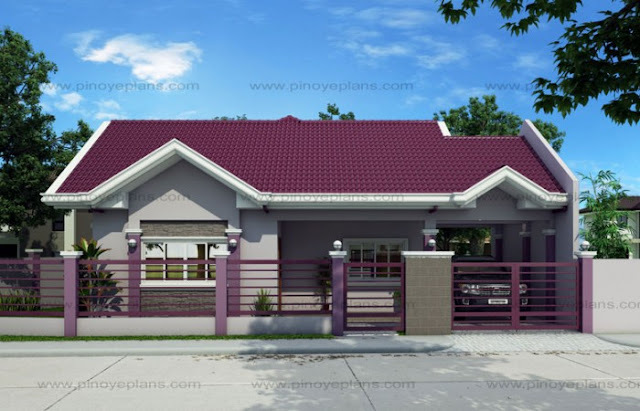 This house design features elevated bedrooms, accent brick walls, playroom which can be converted to study room, Lanai, elevated porch, arched windows on bedrooms. 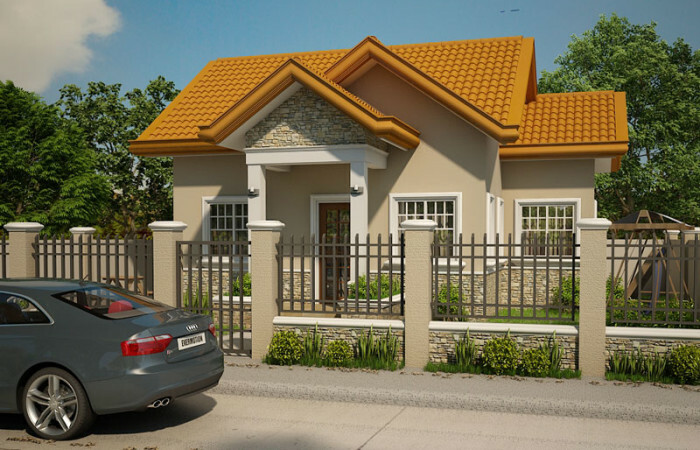 Small house designs like this one can be built on a lot having 15 meters by 15 meters dimension and still providing minimum allowances from boundary lines or property lines. 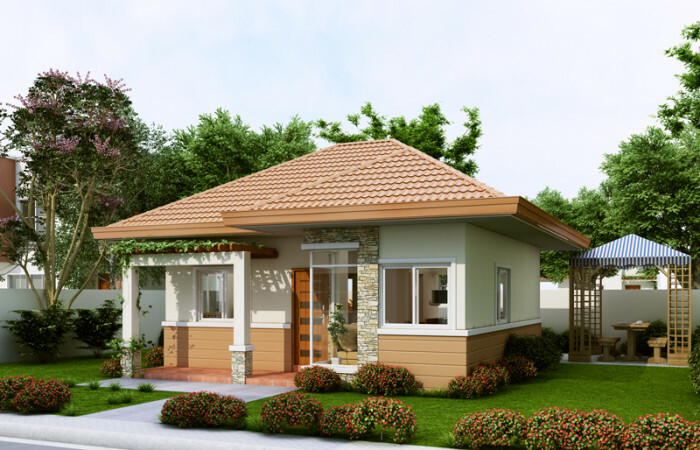 This small house design can be built in a lot having an area of 340.0 sq.m. This design can best fit on a 17.0 meters lot frontage. Smaller lots can also accommodate this design provided that the rear side will be fire-walled thereby saving a 2 meters on the lot depth or length. The porch is elevated by 3 steps and upon entering the living room there is a 75 mm rise in the main floor. The dining room is next where in the rear window is just a mirror of the sets of windows at the front located at the living room. The Master’s bedroom is 14 sq.m. floor area with its own walk-in closet and bathroom. The 2 other bedrooms shares a common bath. The well organized kitchen with a small counter type nook is the center of activities of the housewife. It is also augmented by a dirty kitchen in case activities in the main kitchen will be very busy. This mall house design is tailored to a specific client whose needs are all mentioned previously. 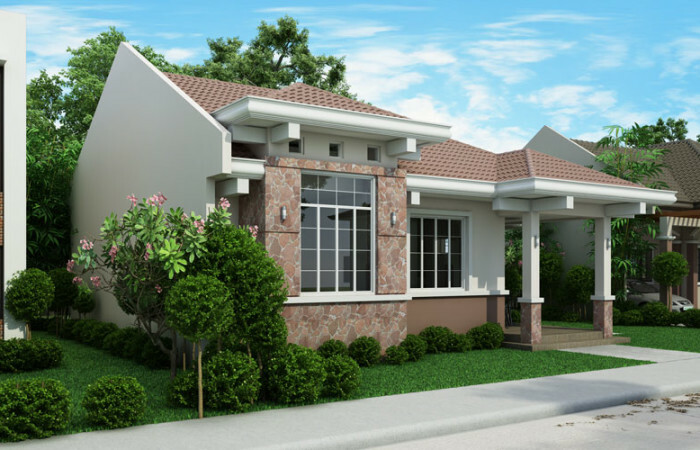 Small house design 2015014 is a contemporary design with 4 bedrooms including the maid’s room. This house can be built in a 269 sq.m. lot having at least 15 meters width or frontage. With this lot area, the setback on the right and rear side is 2m from the lot boundary and fire-walled at the garage side. From the gate the house has a setback of 3 meters. Opening to the right of the Patio is an open ended living room where in the dining and kitchen can be readily accessed. 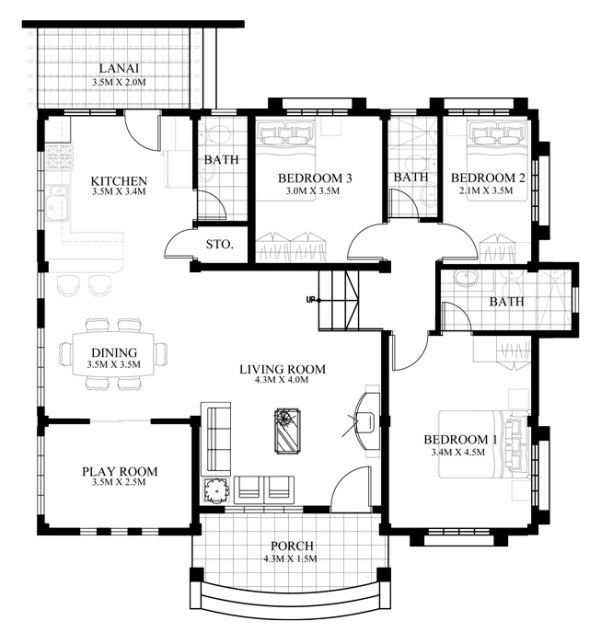 This house plan is provided with 2 bathrooms which can served all the occupants. The bathroom near the Master’s bedroom can also be customized to serve only the master’s bedroom for privacy and convenience of the Land lord. 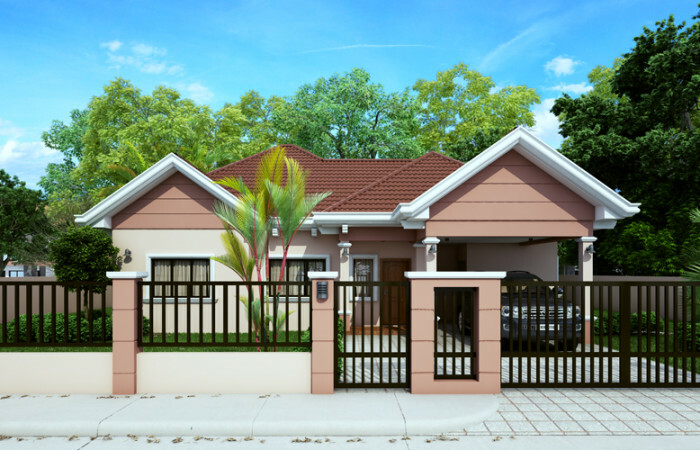 With this house design, it may not be a typical house for Filipinos in general since it requires a bigger lot. Still, this would be a good choice for families dreaming to have their own house in the future.